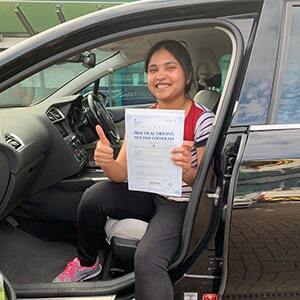 Lucky learner drivers in the Leeds area have two nearby test centres to choose from. Those closest to the city centre will opt for Leeds test centre. Based in the same building as the Office of the Traffic Commissioner and DVSA, the centre can be found on Harehills Lane. If you're heading here for your big day, get to know more about it below. Read on for directions, pass rates, test routes and much more about Leeds. There is no parking available at this centre. You can park your vehicle on the opposite side of Harehills Lane down Kimberley Road. Located to the east of Leeds city centre, not too far from the bustling York Road, Leeds test centre can be found next to Brown Hare, Asda and Angel Hand Car Wash. Not had the chance to look around the test centre yet? That's fine. Just use the directions here. Please note that the centre does not have parking facilities. You can, however, park your vehicle on the opposite side of Harehills Lane down Kimberley Road. You won’t be able to find an exact route for Leeds, as the DVSA stopped publishing them to prevent students from practicing them before their tests. Don't worry—you can look at videos of Leeds test routes on YouTube or download our sample Leeds driving test routes. All test routes tend to incorporate the same types of challenging areas that examiners like to test candidates on anyway, e.g. tricky roundabouts, busy urban roads and quieter residential streets. Additionally, your instructor will be able to give you an idea as to which roads are likely to feature on your route. Pass rates at Leeds test centre have been much lower than the national average in the past five years. While this might be worrisome for some, you should bear in mind that centres closer to busy, urban areas are always slightly more difficult for some learners. That being said, if you pay attention to your instructor, you should be fine. What If I Can't Go To Leeds? Leeds isn’t the only test centre available in West Yorkshire. You can also head on over to Horsforth or Thornbury. Your test route will end as soon as you're back at Leeds test centre, at which point you'll be given your result. Regardless of the outcome, you'll be given a feedback sheet and verbal feedback involving any faults you made. 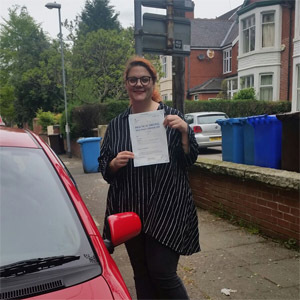 If you do pass, you'll get a test pass certificate—perfect for posing with—and you'll be able to send off for your new licence! If you failed your practical test, you don’t need to worry—it’s more common than you’d think. You can quite easily take another test and pass by using the feedback given to you by your examiner. PassMeFast can even speed up the process by fast-tracking your test. All you've got to do to book in is contact us via our website, or call us on 0333 123 4949. 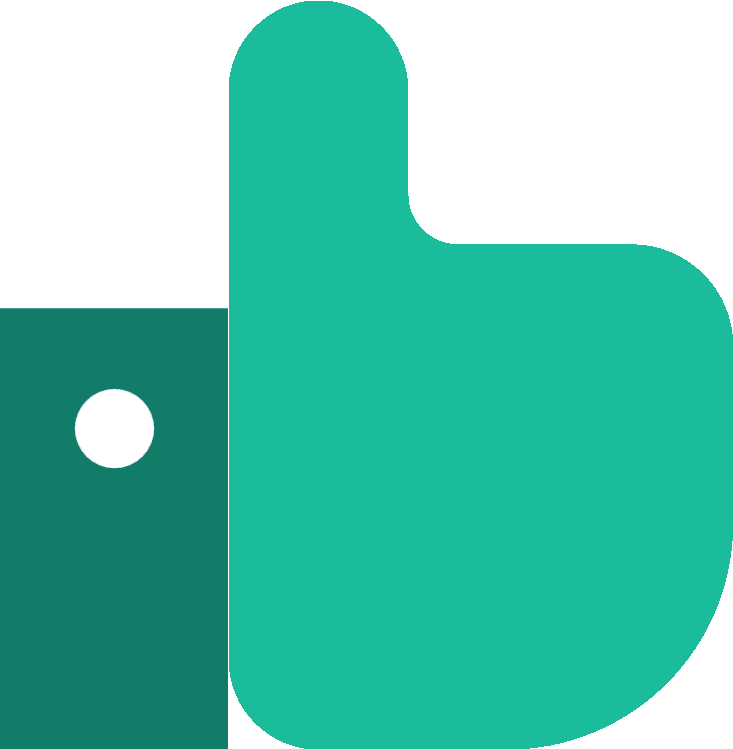 PassMeFast offers learners a range of intensive and semi-intensive courses that take place over a matter of days or weeks, as opposed to months. These types of courses allow you to build up your knowledge intensively to ensure you’re fully prepared for your test. Our fast-track practical tests allow you to take your tests months ahead of DVSA waiting times. 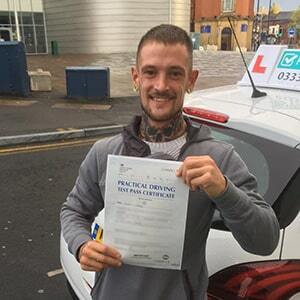 Get on the road as soon as possible with PassMeFast! Check out our course prices, pick a suitable course and book a course online. Alternatively, speak to one of our sales team members on 0333 123 4949 to get a recommendation. Don’t forget! We now offer student discount on all of our courses!